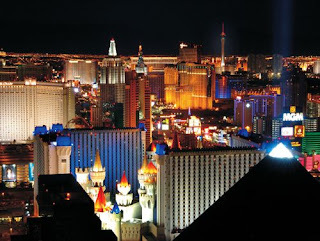 While gay life in Las Vegas has not developed into a single geographical community in this city, its unofficial gay district near Tropicana Blvd. and UNLV serves as one strong pillar of the Las Vegas' LGBT community. Located near the intersection of Paradise Road and Naples Drive, this strip mall is home to a variety of clubs, bars and a bookstore frequented by a diverse crowd seven days a week. Options include popular bars and clubs including Freezone, featuring the Queens of Las Vegas, the longest-running drag show in Sin City; Piranha Nightclub and 8 ½ Lounge; Badlands Saloon, attracting a country-western crowd; and Gipsy, voted 'Original and Legendary Gay Nightclub' by GayVegas.com. Outside of this area, however, there are quite a number of more gay bars and clubs found throughout the city, including Goodtimes, which plays a variety of music, including'80s and industrial, Charlie’s with a country-western flair, The Garage and Fun Hog Ranch, just to name a few. Dance clubs include Krave Nightclub, the only gay club located on the Strip, and Share, found across I-15 from the Strip. In addition, Krave is diversifying their product offering with Drink ‘n’ Drag downtown on Fremont Street, and plans to open Boys in the gayborhood are underway. On the other side of town, the Commercial Center, located on Sahara Ave., provides even more options including a few saunas, bars and an adult toys store. It’s also the current home of the Gay & Lesbian Community Center of Southern Nevada, which is moving to a new and larger location later this year on Maryland Parkway. In the print media, Vegas has only one major publication targeting the LGBT community. QVegas - a monthly, full-color, glossy magazine - has served as the voice of the LGBT community in southern Nevada since its inception in 1978 as the Bohemian Bugle. Over the past three decades, QVegas has changed names and publishers, but has remained a constant force in the local community's fight for equality and acceptance, both within the Las Vegas area and the world at large. The magazine's overseeing entity, Stonewall Publishing, also created the first successful gay community business directory as well as a number of special event guides. 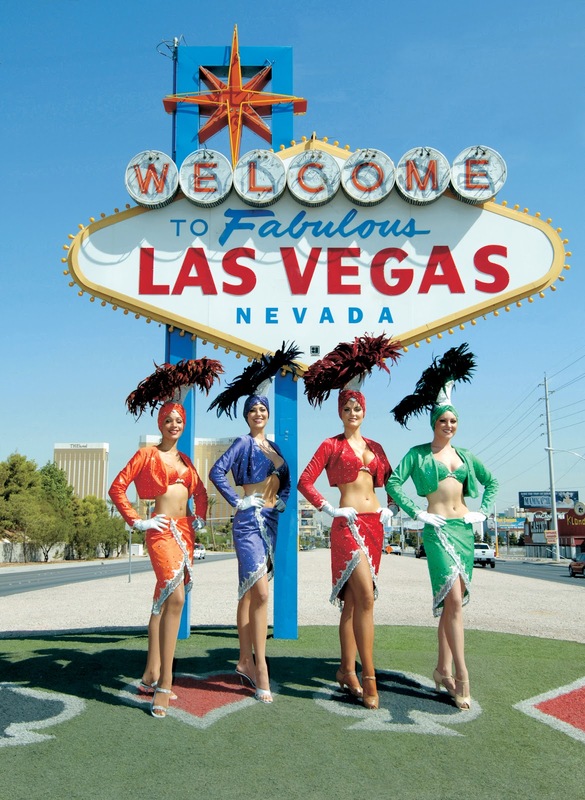 Major events held in Vegas annually include Las Vegas Pride, now held in September and featuring a wide array of activities and entertainment including an art show, an all-ages "Skate Night," bingo, a parade, festival, the official "Pride Ball," and the Threads of the Community fundraiser. As Las Vegas grows in popularity, more and more events are emerging as mainstays in this desert city, including the recent move of Girl Bar’s Dinah Shore weekend to Las Vegas in 2012. 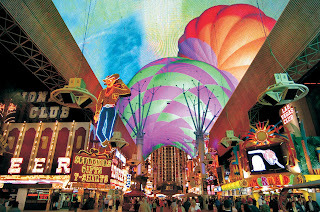 The success of this and other events, including those done by Eduardo Cordova at various casinos and resorts throughout Las Vegas, as well as the upcoming Gay Days Las Vegas making its debut in September 2012 and coinciding with Las Vegas Pride, continue to elevate Las Vegas as a go-to destination for gay & lesbian travelers worldwide. 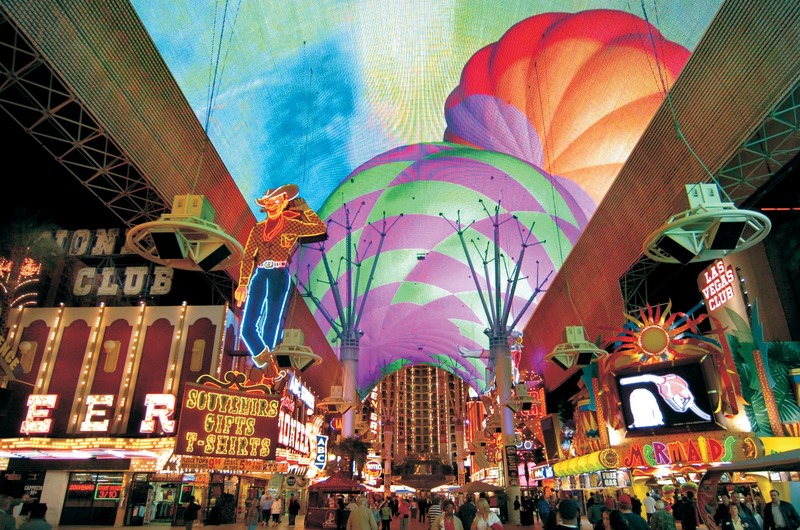 The Las Vegas Convention and Visitors Authority launched its LGBT marketing initiatives in 2004 and last year hosted 83,000 room nights to the city from LGBT meetings and conventions. The Las Vegas hotels and resorts have taken notice as well, and are offering diversity training to their employees. Their combined efforts have resulted in many national and international associations choosing Las Vegas as the host city for their annual meetings. IGLTA, CMI, Victory Fund, GLAAD, HRC, OutServe, National Gay & Lesbian Chamber of Commerce and the National Lesbian and Gay Journalists Association are just a few of the organizations recently convening in Las Vegas. Primary supporters and sponsors of this ever-growing roster of LGBT conferences and conventions include Caesars Entertainment, MGM Resorts International, Tropicana Resorts, Wynn Resorts and smaller, off-strip venues such as Rumor Hotel. Additionally, properties such as Mandarin Oriental, Caesars Palace and Luxor have taken notice, as well as entertainment organizations including Cirque du Soleil and Divas Las Vegas with Frank Marino at the Imperial Palace. It’s important to also mention the Blue Moon Resort here... one of the first all-gay resorts in Las Vegas, near I-15 and Sahara Blvd., and a social institution bringing gay men together in Las Vegas for several years now. 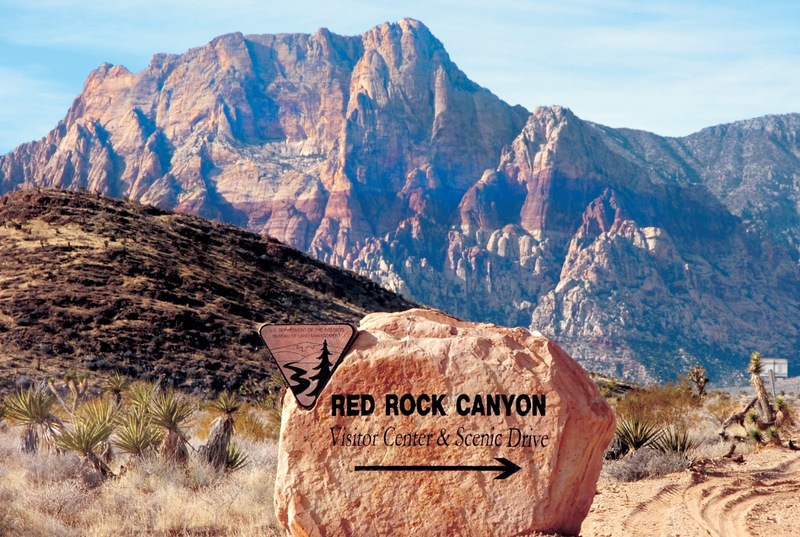 Though Vegas lacks the centralized LGBT social area that most major metro areas contain, the city is ripe with resources for its active community. The aforementioned Gay & Lesbian Community Center of Southern Nevada offers a focal point for the variety of gay and lesbian organizations found throughout the greater Las Vegas Valley area, including the Human Rights Campaign (HRC), which manages a hub within the city, and Parents, Families, Friends of Lesbians & Gays (PFLAG). Other organizations, such as the Imperial Royal Sovereign Court of the Desert Empire, Lambda Business & Professional Association, Nevada Gay Rodeo Association, and Sin City Q Socials, cater to a variety of varied interests within the LGBT community. This article is excerpted from the upcoming 2013 Gay Market Report, available December 2012. Order your advanced copy today.